NB: Next year chalet catering will be 5 nights catered not 6, for winter 2019/2020 (i.e. guests eat out 2 nights, if staying in this property). NB: This is a "family" chalet, so all bookings must include at least one child or teenager. Chalet Iceberg is ideal for two families, with its separate two-roomed sleeping areas for each family, each with individual staircase access, one of which is spiral. There is a comfortable lounge and a separate attractive dining-room, each with a log fire and large picture windows affording fabulous views of the lake. Both double bedrooms also have full-height picture windows looking out across the lake to the mountains beyond. The twin bedrooms and all bathrooms have partially restricted headroom, but it is these eaves ceilings and plentiful wood panelling which add such character to the chalet. Children and their accompanying staff will use Chalet Iceberg for lunch between 12-2pm. We have led the childcare concept for UK families on skiing holidays for the last 35 years and our programme is constantly reviewed and refined, with previous guest feedback always the key element in further enhancing the experience. For parents, Classic Childcare means being able to leave your accommodation after breakfast to head for the first lifts, only needing to return after the last one shuts. We look after your children completely throughout the ski day if you wish. While the babies and toddlers go to our Nursery, staff take the older ones to our partner ski-school, collect them, give them lunch, run activities to keep them happy and stimulated and then take them back to their chalets for their high tea, giving you our super-convenient ‘Seamless Service’ throughout the day. All childcare staff are subject to the new Disclosure and Barring Service Enhanced Check (formerly the 'CRB' check) in line with the UK's legal requirements for anyone working regularly and closely with children. We set high standards for our cuisine, and train our staff extensively before the season starts, to ensure that guests will enjoy every meal. In all our properties breakfast is served buffet-style with a selection of cold options including a choice of cereals or porridge, cold meats, cheese and preserves, and bread (and croissants in France) fruit juices, tea and coffee and a cooked breakfast of bacon, sausage, eggs and beans. On the one staff night off per week, a continental style breakfast is laid out for you to help yourselves in all chalets. Our Chalet Hotel teams can also prepare a packed lunch for you on request, at a small local charge. Every day, apart from the one staff day off, a home-baked cake and tea and coffee making facilities are laid out for you to help yourself when you return from the slopes. High Tea at 5.30pm is served as a 2 course evening meal for all children under 13 as many parents prefer to enjoy adult-only company over dinner. Parents are asked to accompany their children under 3, whilst 3-12 years old are supervised by our childcare team. Adult dinner at 7.30pm comprises 3 courses including an appetiser, main dish and dessert, preceded by a prosecco apéritif, accompanied by a choice of red and white wines, and culminating with tea or coffee. If it's important to you to eat dinner altogether as a family, we offer Family Dining in any chalet when you book the entire chalet for exclusive use. Dinner is then served from 6:30pm with the menu based on our adult dishes with some flexibility for the children's preferences. There is a supplement of £39 per child for Family Dining. High Tea provides children under 13 with a healthy menu, but tailored more towards children’s tastes than our main adult dinner, and puréed food is also always available for infants on request. Parents are asked to accompany their children under 36 months at High Tea please, whilst children from 3-12 years will be supervised by staff. Vegetarian options are available in our chalets if you advise us in advance. Other special diets can generally be catered for at a cost of £35 per person per week. Any dietary requirements must be advised to us at the time of booking in order for us to be fully prepared. Our staff prepare and serve breakfast, afternoon tea and a 3 course evening meal including wine and coffee, on five days a week, representing great value for money in any ski resort and giving you more precious time as a family. The staff nights off give you a chance to sample some of the delicious local restaurants an ensure that you don’t leave The Alps without your fill of Weiner Schnitzel or Fondue! Our baby listening service ensures that you can enjoy your meal out without worry. We set high standards for our cuisine, and train our staff extensively before the season starts, to ensure that you will enjoy every meal. In all our properties breakfast is served buffet-style with a selection of cold options including a choice of cereals or porridge, cold meats, cheese and preserves, and bread (an croissants in France) fruit juices, tea and coffee and a cooked breakfast of bacon, sausage, eggs and beans. On the two staff nights off per week, a continental style breakfast is laid out for you to help yourselves in all chalets. Every day, apart from two one staff days off, a home-baked cake and tea and coffee making facilities are laid out for you to help yourself when you return from the slopes. All our chalets and Chalet Hotels offer traditional fare for Christmas dinner, with roast turkey and all the trimmings, Christmas pudding, mince pies, crackers, party hats and of course a pre-dinner glass of Champagne plus a lively, fun atmosphere for all the family. This is the one meal that all families share together regardless of children’s ages, so in some properties the dining tables can be quite crowded, but this adds to the festive ambience of all celebrating together! A special festive menu followed by Champagne is also served on New Year’s Eve, but this is for adults only (and those aged 13+ of course), unless you are staying in a Family Dining chalet. Once a week for 2017/18 and twice a week for 2018/19, you have an opportunity to eat out and enjoy a local Alpine Restaurant on our staff's day(s) off. Don't forget, you can still take advantage of our free Baby-Listening/Child Patrol Service on this evening.For the 2017/18 season. We update Chalet Iceberg's details often, but facilities do change. e.g. some extras listed by the supplier as "free" or included might only be for the first time you use them, or for one time per party, then charged for further use. If any specific feature is essential to your holiday, make sure you ask us to confirm the details of it before you book your holiday. This package holiday to Chalet Iceberg in Tignes, France departs Sunday 5th January 2020, for a 7 night stay on a "catered chalet" board basis. A local tourist tax (Taxe de Sejour or Kurtaxe) is levied by many councils in European ski resorts. It varies by standard and type of accommodation and is age dependent, so not everyone is charged. It's not included in the basic price of your holiday and is usually paid locally. For reference, the average charged in winter 15/16 was between 50p and £2 per person, per night. Tignes is somewhere you can ski longer, higher and further than most other resorts in the Alps. Owing its snow-reliability to the Grande Motte glacier, the local ski area is joined with Val d’Isere’s to form the mammoth Espace Killy - intermediates will have a whale of a time here. Choose between 5 different villages, whether your priority is convenience, cosiness or cheap accommodation. Tignes also has one of the most famous New Year parties in the Alps. Tignes lift pass price last reported as €294 (adult 6 day). Ask for a quote when booking Chalet Iceberg. Tignes has NSEW facing slopes. Usually open for skiing October - May. 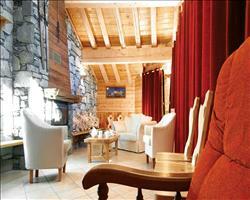 Chalet Anne-Marie Tignes France, Gatwick to Chambéry 5th January. Chalet Chamois Tignes France, Gatwick to Chambéry 5th January. 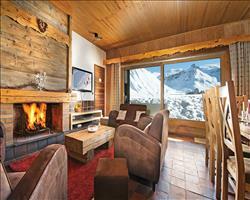 Chalet Marilyn Tignes France, Gatwick to Chambéry 5th January. 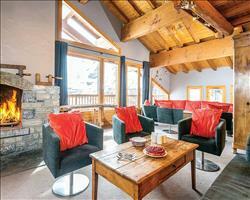 Chalet Caribou Tignes France, Gatwick to Chambéry 5th January. 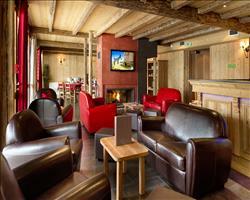 Chalet Hotel Rosset Tignes France, Gatwick to Chambéry 5th January. 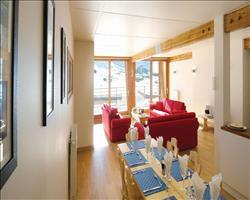 Chalet Corniche Tignes France, Gatwick to Chambéry 5th January. 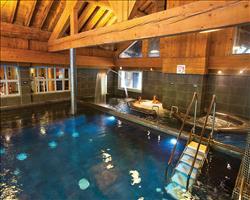 Chalet Hotel L'Ecrin Tignes France, Gatwick to Grenoble 5th January. We have enjoyed an excellent holiday and would love to use the same chalet company again. Child care was excellent and the fact our children were so happy meant we could relax and enjoy our holiday too. Thank you!! 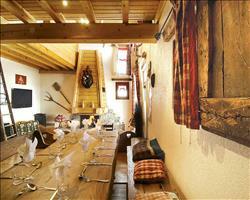 The chalet was warm, comfortable and homely. Our host could not have done more to accommodate us, showing us around Tignes, giving us advice and going out of their way to ensure we had a great holiday. Our son was in nursery and the child care staff were very welcoming and provided excellent care. All of the staff were so friendly and relaxed and we really couldn't ask for more. We have had truly the best holiday! Taking two small children skiing take a lot of organisation and the company made this task relaxing and easy.